So who is this Iris that’ll be representing Belgium at the 2012 Eurovision Song Contest in Baku, Azerbaijan? Longtime readers of Charley says POP! may remember her from this post, but for those of you just joining, let me introduce you. Iris was born in 1995 as Laura Van den Bruel and has been into music since she was a kid. As about half of Belgium’s talented youngsters she auditioned for Junior Eurovision at one point, but narrowly missed out on a place among the finalists. But she needn’t worry, her big break would come just a few years later. A then 15 year old Laura submitted a YouTube rendition of Céline Dion’s “I’m Alive” to Joepie’s Talentbooth. This online competition was a joint effort by Belgium’s leading teen magazine Joepie and record label Sonic Angel. Laura’s impressive vocals earned her a spot among the five finalists and she went on to win the entire competition. With a Sonic Angel record deal secured, it was time to decide how she would go about releasing her very first single. With the Flemish music scene saturated with Lauras (Laura Lynn, Laura Omloop, Laura Ramaekers…) she decided to go by the name of Airis. That’s Iris pronounced in English, with an extra A to make it all more Google-friendly. For her debut Airis teamed up with Piet Vastenavondt, Wouter Vander Veken and Guus Fluit. The first being the lead singer of Owen and the latter two being the musical masterminds behind Bandits and Ellektra‘s musical output. The result was “Wonderful“, a country-light feel good song, that got her playlisted on radio and into the Flemish top 30. Then late last year came the news that would make her a household name in Belgium. Iris, now without the extra A, was internally selected by Flemish public broadcaster één to represent Belgium at Eurovision, beating the likes of crooner Yannick Bovy to the spot. An appeal was launched to submit songs for Iris to sing in Baku. No less than 270 tracks were submitted and after much deliberation just two remained. “Safety Net” was written by Boots Ottestad, Aimée Proal and Barrett Yeretsian, who among them have writing credentials for the likes of Robbie Williams and Kelly Clarkson. However, in last night’s national final Belgium chose to send “Would You“, written by Jean Bosco Safari, Walter Mannaerts and 18 year old Nina Sampermans. Jean is a renowned Belgian singer/songwriter, Walter was the driving force behind Bab‘s excellent and majorly underrated debut album and Nina is working on a debut album of her own. So with her entry chosen and a ticket to Azerbaijan in her pocket, what is next for Iris? Eurosong.be have managed to find out that a full album will be released on April 27th. The album will include “Wonderful“, her two Eurovision songs and brand new tracks of which five have been chosen from Iris’s Eurovision entries that didn’t make the cut. With Iris citing Carrie Underwood as her biggest idol in a recent interview, I’m excited to hear an entire album of Iris’s country-light pop! 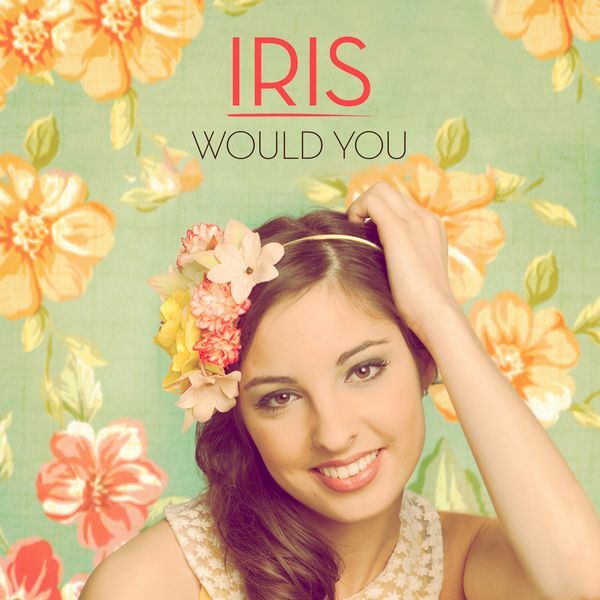 “Would You” by Iris is available on iTunes. “Wonderful” by Iris is available on Spotify and iTunes. Iris’s debut album will be available as of Friday April 27th, you can still buy a FanShare and help fund this album. Tom Dice came sixth in the final of the 2010 Eurovision Song Contest. He may have lost out to Lena’s ‘Satellite‘ and he may have slipped down a couple of places after being in the top three throughout most of the voting, but Tom proved that Belgium can be a contender for Eurovision victory. More specifically, Tom proved that a Flemish entry can do well. Credit where it’s due, even though their output since ‘Sanomi‘ has been disappointing, it’s our friends from Wallonia who have given us Urban Trad, Melanie Cohl and even a win with Sandra Kim. Next year may not be our turn to select an entry, but I’m already curious to see who will follow up Tom for Flanders in 2012. Maybe Ellektra? Her ‘Do You Really Wanna Be With Me‘ would have made for a great entry, wouldn’t it? Maybe someone like Nelson, who competed in Eurosong 2008, but has since settled for a great pop/dance sound? Maybe an artist we don’t even know yet, like someone who might come out of Idool 2010 later this year? I for one can’t wait to see what’s next. Oh and you may have noticed that the song above is not ‘Me And My Guitar‘, but let’s not forget that just a couple of months ago Laura sang Belgium to a fourth place at Junior Eurovision! If you’re not familiar with ‘Zo Verliefd (Yodelo)‘ yet, you can hear her bubblegum pop yodel anthem above. If you have just been watching the second semi final of the Eurovision Song Contest you may have spotted this immortal duo in the red lantern montage. Nicole & Hugo were originally supposed to represent Belgium back in 1971 with ‘Goeimorgen, Morgen‘. Unfortunately Nicole became ill right before the contest and the couple had to be replaced with Jacques Raymond and Lily Castel. Determined to get there, they tried again in 1973. ‘Baby Baby‘ was the song that got them to Luxembourg. Despite their flashy outfits and dance moves, which could be described as revolutionary for the Eurovision Song Contests at the time, they failed to get Europe behind them. Not hindered by their last place, the real life couple became pop icons in Belgium. Almost 30 years on, Nicole & Hugo are still married, still performing and aren’t thinking of quitting any time soon. And the purple outfits? They still fit! Today we’ll be taking a closer look at the five finalists, Spain, Norway, United Kingdom, France and Germany, after the jump! With this eight and final part of the Oslo 2010 In A Tweet Special online, you can now read all entries by clicking here. Today we’ll be taking a closer look at The Netherlands, Romania, Slovenia and Ireland. You are currently browsing the archives for the Charley says EUROVISION! category.